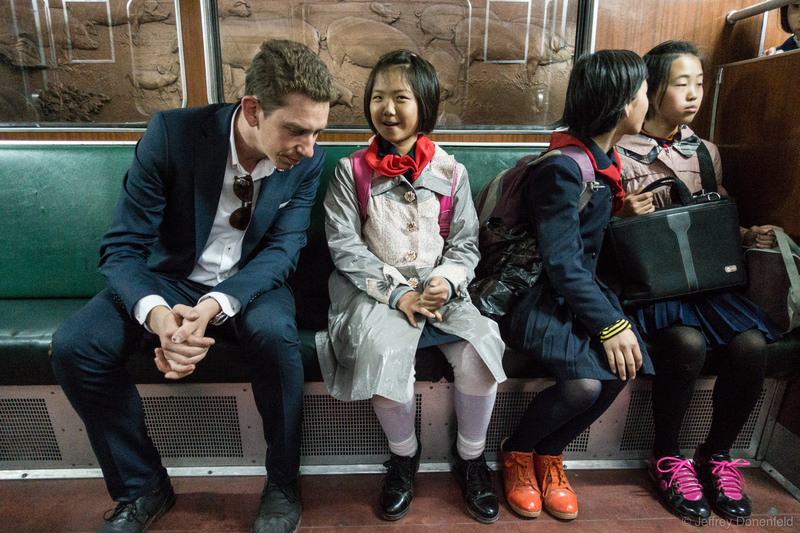 Riding the Pyongyang metro was a great opportunity to interact with some of the locals. Here, I'm sitting next to a group of school girls, who are getting nervous while practicing their english skills. Riding the Pyongyang metro was a great opportunity to interact with some of the locals. Here, I’m sitting next to a group of school girls, who are getting nervous while practicing their english skills.